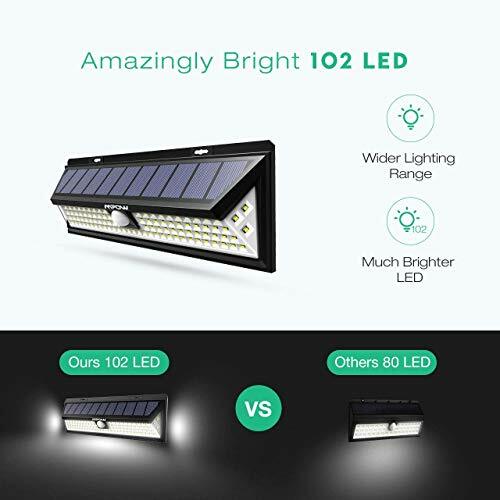 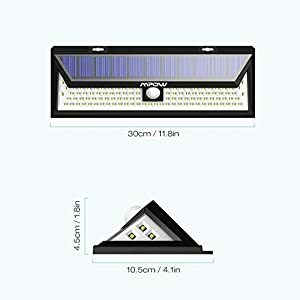 【Amazingly Bright 102 LED】 Compared with the most similar products on the market, Mpow solar lights with 102 solar-powered bulbs is much brighter and powerful. 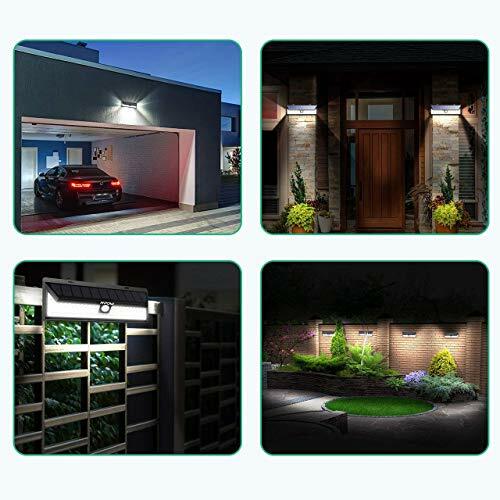 Strong lighting emission brightens your way home. 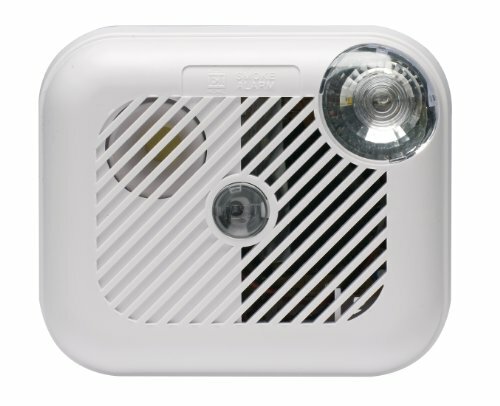 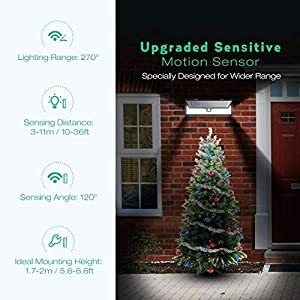 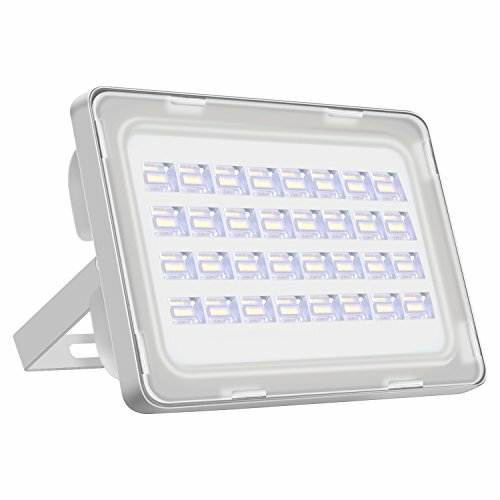 【Unique 120° Wide Angle Sensor】 With 3 LED lights respectively set up on both sides, the maximum lighting angle can reach 270° thus provides a broader range of luminosity. 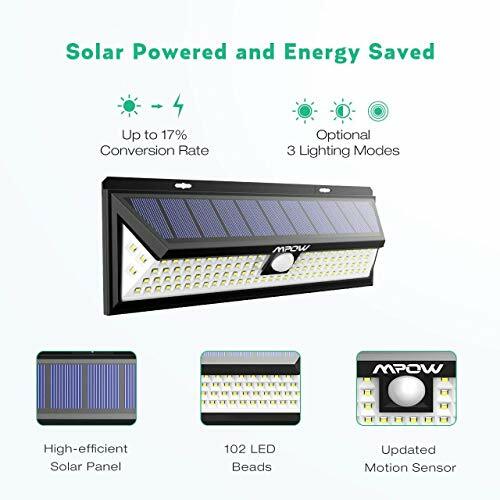 【3 Lighting Modes】 Mpow solar lights detects motion efficiently and quickly. 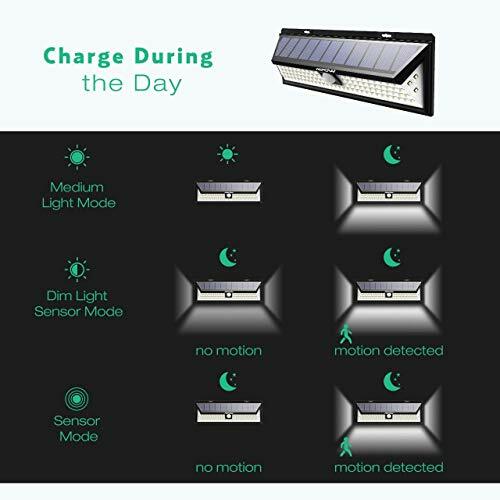 It comes with 3 modes: Medium Light Mode Without Sensor/ Dim Light Sensor Mode/ Sensor Mode to meet your demands. Perfect for using on Garden, Yard, Walkway, Driveway, Stairs, Outside Wall etc. 【Weatherproof & Durable】 The waterproof and heatproof design enables it functions well in freezing winter or burning summer. 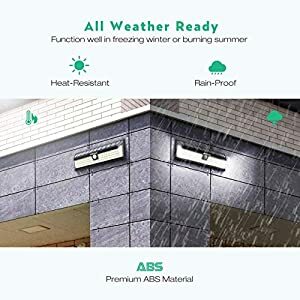 There is no worry about being damaged by the rain or heat. 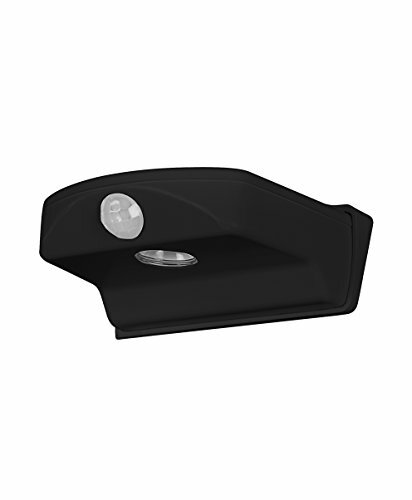 And the tightly-sealed ABS plastic material is durable enough for continual use. 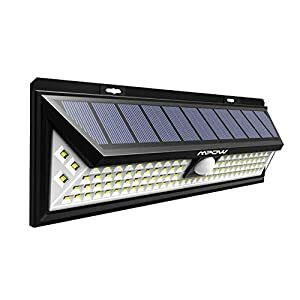 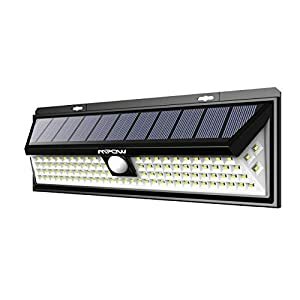 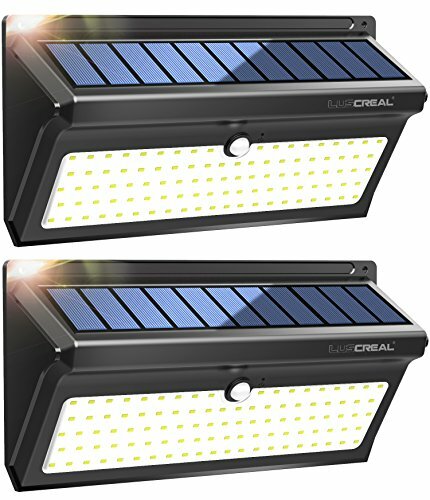 Mpow 102 LED Outdoor Solar Lights offer 1.5X longer lifespan than other brands’ solar lights. 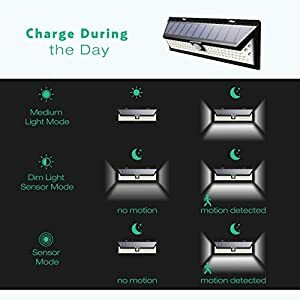 【Easy to Install】 You can simply mount LED solar motion sensor light on the wall firmly with included screws. The ideal installation height is around 1.7 to 2 meters (5.6-6.6feet).